Actors often go to extreme levels to show their versatility as an all-rounder. Other than being an actor, they have started showing interests in other aspects of filmmaking. Like producing and directing films, lending their voice for the songs, writing scripts and lyrics and even performing their own stunts in films. Since ages, many Bollywood action stars have tried doing their own stunts like Dara Singh, Dharmendra, Amitabh Bachchan, Shahrukh Khan, Akshay Kumar, John Abraham, Ajay Devgn amongst many others and in the process, they injured themselves fatally. Actors getting injured on sets during filming action sequences and dance numbers is very common. It’s a part of parcel and jobs nature, but these injuries did not dither the spirit of actors and sticking by the phrase the show must go on, they continued shooting for their film and completed on time. Let us look into some of the Bollywood actors who didn’t throw the towel and continued shooting for the film with their strong will and commitment towards their work. 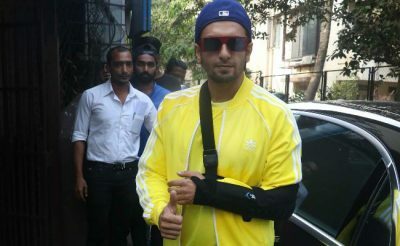 The super energetic actor Ranveer Singh sustained an injury to his shoulder during a football match. 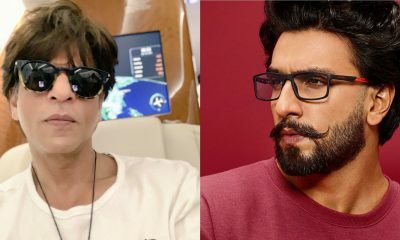 The actor was shooting Gully Boy at the time of injury. 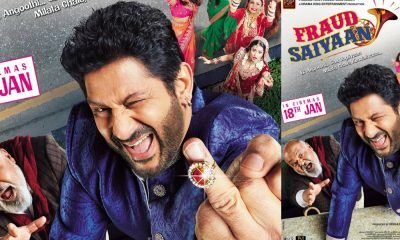 But the injury did not stop the high spirited actor to continue shooting for the film. 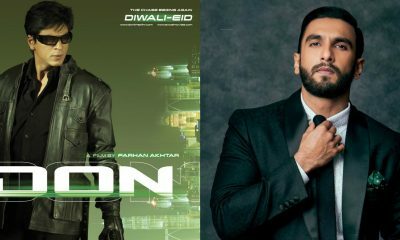 Even though he was advised by medics not to strain his shoulder at least for a month however Ranveer Singh didn’t take any break and completed the film as per schedule. 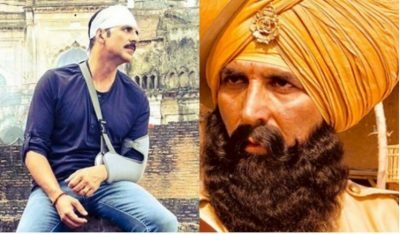 The real action star of Bollywood Akshay Kumar was injured on the sets of Kesari during a high-octane action scene. The Khiladi Kumar got an injury on his ribs while shooting an action sequence in the climax. Kesari is based on the real-life incident, Battle of Saragarhi in the year 1897 between Britishers and Sikh regiment. 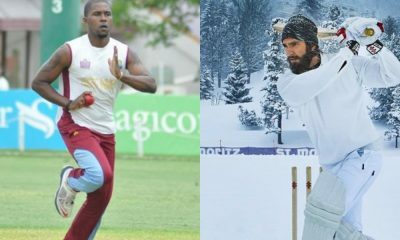 Akshay was adviced to take a break after the injury and return to Mumbai for proper medication. But the actor stood by his team and stayed back in Wai where they were shooting the climax and completed his scenes on time to avoid losses to the filmmakers. 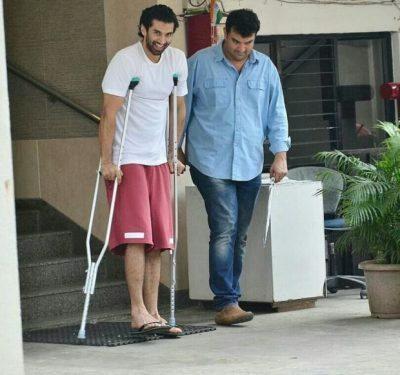 The super talented actor from Kapoor clan Ranbir too injured himself while he was in the midst of shooting Brahmastra. 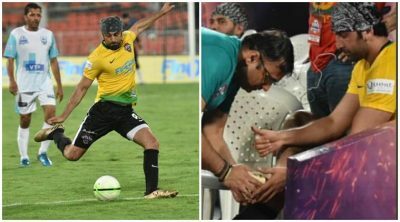 The actor got himself injured during a celebrity football match between his and Abhishek Bachchan’s football team. Ranbir injured his right toe during the match and was immediately rushed to the hospital for examination. He suffered a damaged tendon and was advised to take rest from medical practitioners. Ranbir was supposed to begin shooting for his next film Brahmastra in Goa along with the rest of the cast. The injury did not hamper his spirit and showed immense professionalism and despite being in the pain, Ranbir went on with the original plans and begin shooting for the film. The versatile actress Alia Bhatt too got herself enrolled in the list of Bollywood actors continue shooting even after the injury. The actress got herself injured while shooting for an action scene in Bulgaria on the sets of Brahmastra. She injured her right shoulder and arm while filming a stunt sequence in the superhero flick. Alia was seen with a bandaged arm and a sling and was also advised for bed rest but she continued shooting for the sequence and was all geared up shooting for another action sequence after a few weeks time after the incident in spite being in pain. The Shaitan actor Gulshan Devaiah after giving impeccable performances across films is geared up for his next action flick Mard Ko Dard Nahi Hota this year. Gulshan accepted the offer and continued working despite being injured for the Mard Ko Dard Nahi Hota. He went through knee reconstructive surgery and was advised by the consulting doctors to rest at least for a year before straining on his knees. But then he was offered to play a martial arts expert in MKDNH within 3 months post surgery. Gulshan accepted the offer even after knowing the fact it could be fatal if something goes wrong while canning the action sequences. He went through rigorous training in different kinds of mix martial arts and completed shooting film as per scheduled. Actor Aditya Roy Kapur also made it to the list of actors continue shooting even after an injury. Aditya was shooting an intense action sequence for his upcoming film. During the sequence, he lost his balance and slipped that hurt his jaw and broke a tooth as well. He was immediately rushed to the hospital for medical care. The doctor suggested Aditya rest for at least six to seven days before resuming the shoot. His determination towards his work and being a responsible actor within a span of a couple of days the actor was back on sets to resume work. 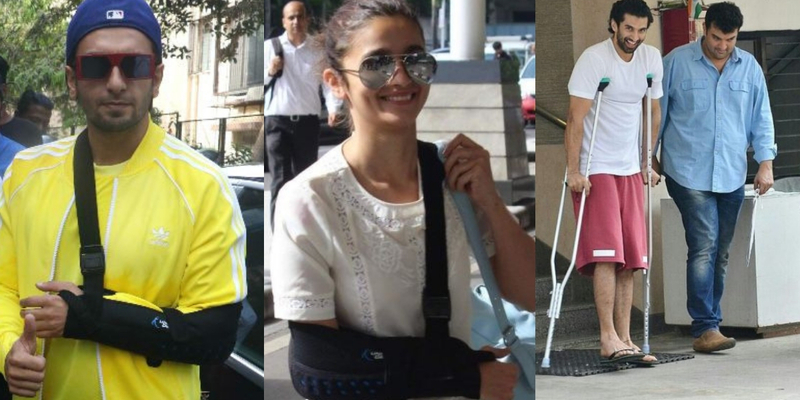 Coincidentally Ranbir Kapoor and Alia Bhatt injured themselves on the sets of Kalank while shooting for action sequences. Stick to this space for the latest updates!! BIRTHDAY SPECIAL: 6 times Deepika Padukone stole our hearts with her performances! 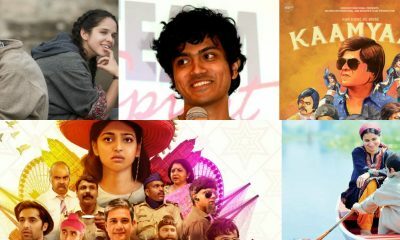 Most awaited Indie films to look forward to in 2019! 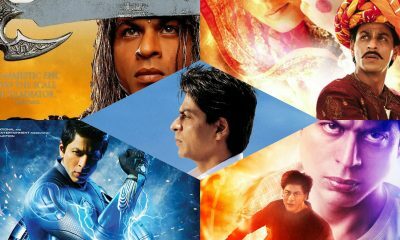 Why Shah Rukh Khan is not only the King of Bollywood but the King of experiments as well!